One of the things that matter most to all our staff and management is to support the local community where we operate. Therefore, Creta Maris Beach Resort employs mainly Cretan workers, who are intimately familiar with the meaning of philoxenia – the essence of Cretan hospitality. This is how we “show up” for Crete and Greece, positioning the resort as a force for good, and economic development in our municipality. We have more than 350 employees every year, and we strive to keep the numbers fairly divided between male and female workforce. Our employees in 2017 – 184 male and 173 female – were either of Cretan origin or permanent residents of Crete, most of them with ages ranging from 30 to 39 years old (107). The resort promotes local hiring. In 2017 alone, Creta Maris Beach Resort supported the local community providing a total amount of 5,248,745.30 euros. Creta Maris Beach Resort adheres to the We Do Local philosophy, promoting the Cretan lifestyle, traditions, and produce that fostered empowerment of the local community of Crete with more than 1 million euros in 2017. 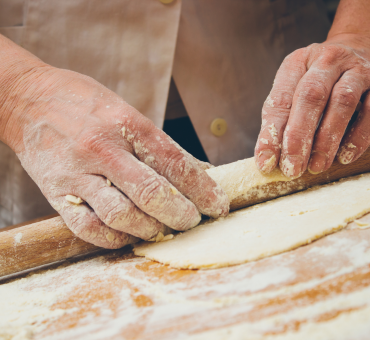 We currently work with more than 80 Cretan suppliers to deliver the best of the bounty of the land straight to our guests and to foster growth and financial security for the residents of the island. Most of our suppliers are in the Heraklion prefecture 75,13%, but we also source from producers in Lasithi 15,55%, Chania 9,02%, and Rethimno 0,30%. Creta Maris Beach Resort strives to preserve and promote the principles that make Crete and its current and past civilizations beckons of hope and value in the world. The resort hosts numerous events dedicated to introducing foreigners to these principles. In 2017, the resort brought more than 550 scientists to the island through three main activities: Pulse, ESBRA, and Linguistics conferences. When it comes to corporate issues, more than 5.730 business people have stayed in Hersonissos because they chose Creta Maris: LG Innofest Europe, Cumg Group, OVB, Oriflamme, Victoria, Alleanza, ACT Meeting, Electro Group, L’ Oreal, and Adesso, among many others. Moreover, we love a good challenge too: Creta Maris Beach Resort welcomed more than 790 participants of the European Senior Chess Championship and the European Chess Championship for their chess tournaments in 2017. 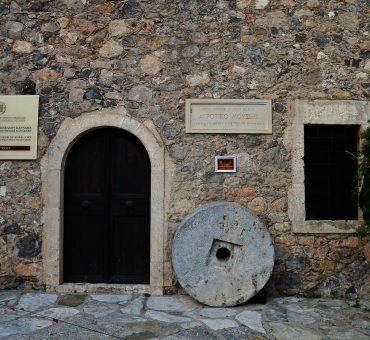 Such events bring business to Hersonissos outside the tourist season and we aim to attract even more business travelers to this beautiful Cretan region. 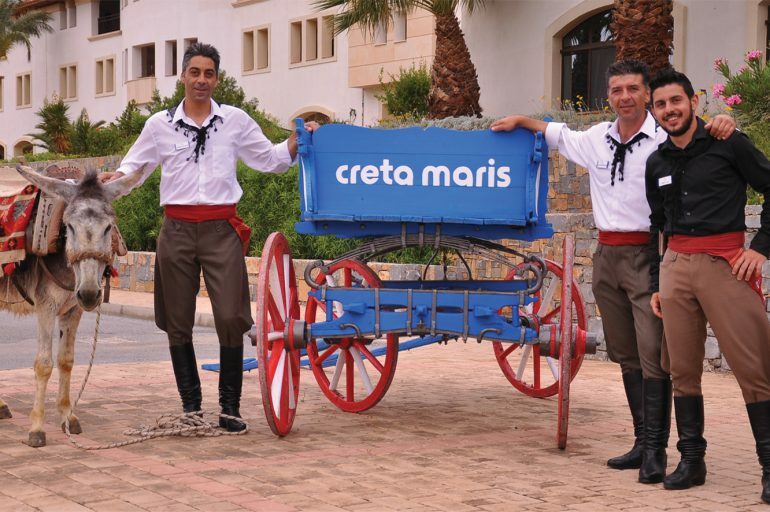 In business since 1975, Creta Maris Beach Resort operates putting people, society, and the environment first. Only by giving back to the community that so graciously supports us we can remain relevant and thriving in the years to come. Our brand philosophy reflects our core values from the first hello all through your stay and beyond.